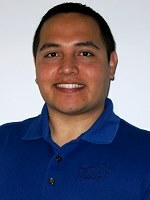 Michael Vazquez graduated in 2004 from the University of Houston with a BS in biology and minor in marketing. By applying his marketing know-how he has been able to consistently acquire and sell multiple properties month after month. He is now the senior acquisition associate in Atlanta and leads the acquisitions team in finding the great deals Networth Realty has become known for. He has been with Networth Realty since 2006 and has grown into a well rounded associate having done many investments of his own. Michael taken on projects starting with just 4 brick walls (literally) to managing his own rental portfolio. When it comes to investing in real estate he has done much more than many twice his age, so Networth Realty entrusts that he will do the same for his investors.